Vionate Vitamin Mineral Powder contains a comprehensive blend of 21 essential minerals and vitamins is a palatable and easy to administer powder. The carrier powder is made from maize, which is palatable to a wide range of animals and facilitates mixing with other foods. 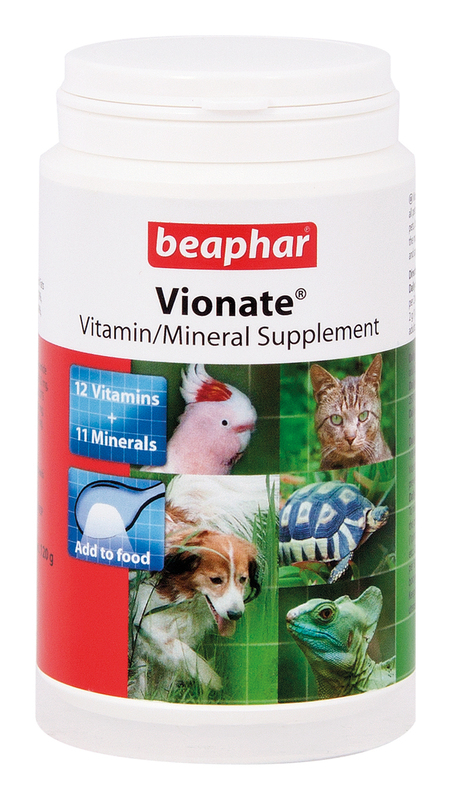 Specially developed from extensive research, Vionate Vitamin Mineral Powder is an all-in-one nutritional supplement designed to enhance and complement the diets of all pets. 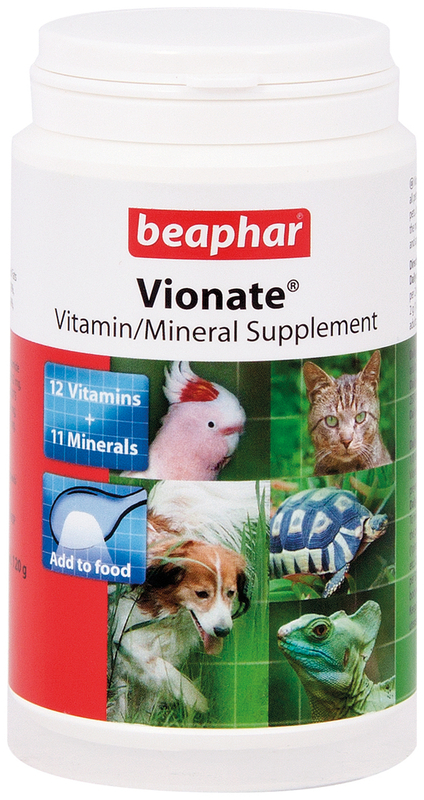 Easy to mix with food or seed, Vionate Vitamin Mineral Powder is economical and effective. 1/8 level teaspoon per 1/2kg bodyweight. To mix with bird seed, add a few drops of cooking oil to bind the powder to the seed. Canaries, budgerigars etc 25mg (1 pinch) each or 2g (1 level teaspoon) per 80 birds. Parrots 50mg (2 pinches) per 100g bodyweight. Large Birds (pheasants, geese, swans, ostriches, peacocks, emus etc...) feed 1/2 - 1 teaspoon per bird per day mixed with food. There are currently no questions for Vionate Mineral Vitamin Supplement - be the first to ask one!